RETROMANIA is coming to KL!! 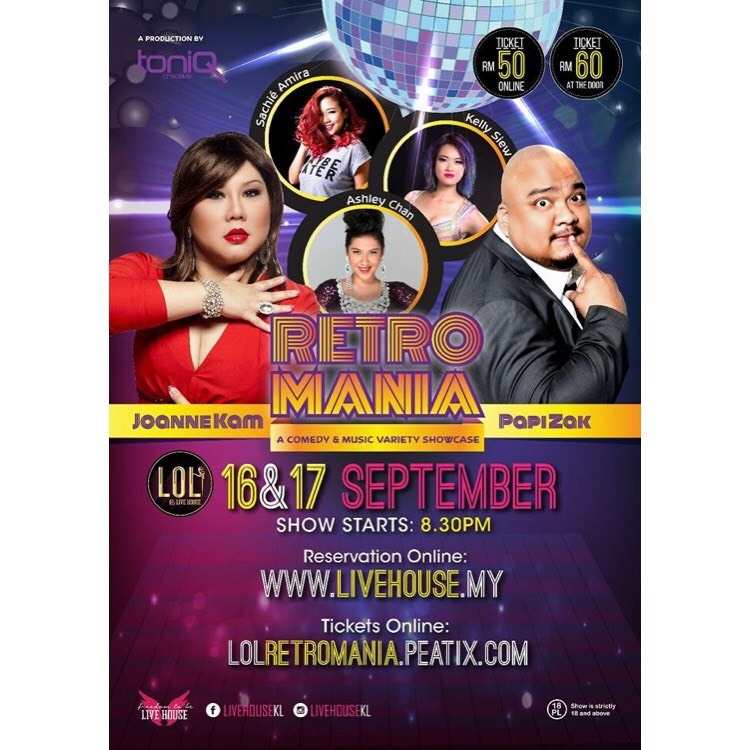 Ladies and Gentlemen, After a sell out show at the Hard Rock Penang, Retromania is coming to KL, staring our very own Papi Zak, Kelly Siew, Ashley Chan, Sachie Amira and myself! For 2 nights only we bring you a night like no other, with all the old classics for you to sing along to. 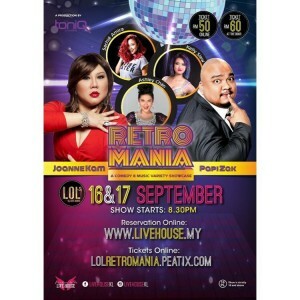 Get your tickets now for the 16th and 17th off September at LOL (above Live House) show starts at 8:30pm head over to www.livehouse.my or lolretromania.peatix.com to purchase your tickets, hope to see you all there! 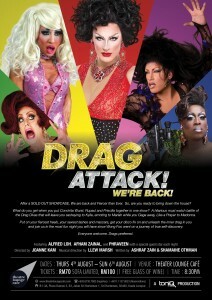 Ladies and Gentlemen I am pleased to announce that DRAG ATTACK IS BACK! After a sold out showcase in April, we are ready to unleash another hilarious evening of music, comedy, glamour and bitchy mayhem. You better start booking your seats now! Starring: Alfred Loh, Afham Zainal and Phraveen. Comments Off on DRACK ATTACK IS BACK! 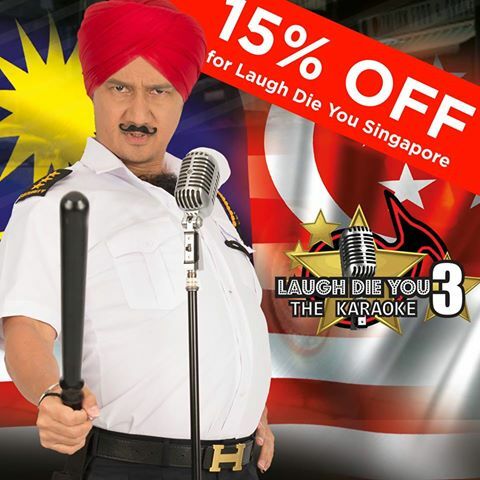 The MOST ANTICIPATED Comedy event is coming to Singapore! Singapore Vs Malaysia We’re coming to you on 9th and 10th JULY 2016! 15% OFF on tickets purchase! visit www.sistic.com.sg for more info now! Show and location: Resorts World Theater, Resorts World Sentosa. 9th and 10th JULY 2016 @ 7.30pm!